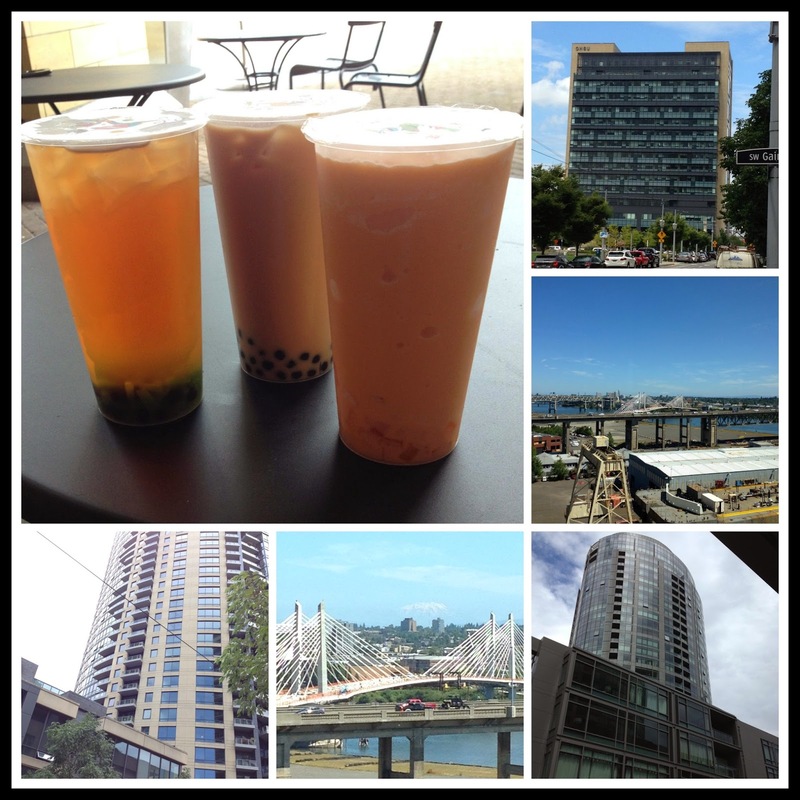 July has been full of fun activities, I thought that I would share them all in one post, our July Wanderings. 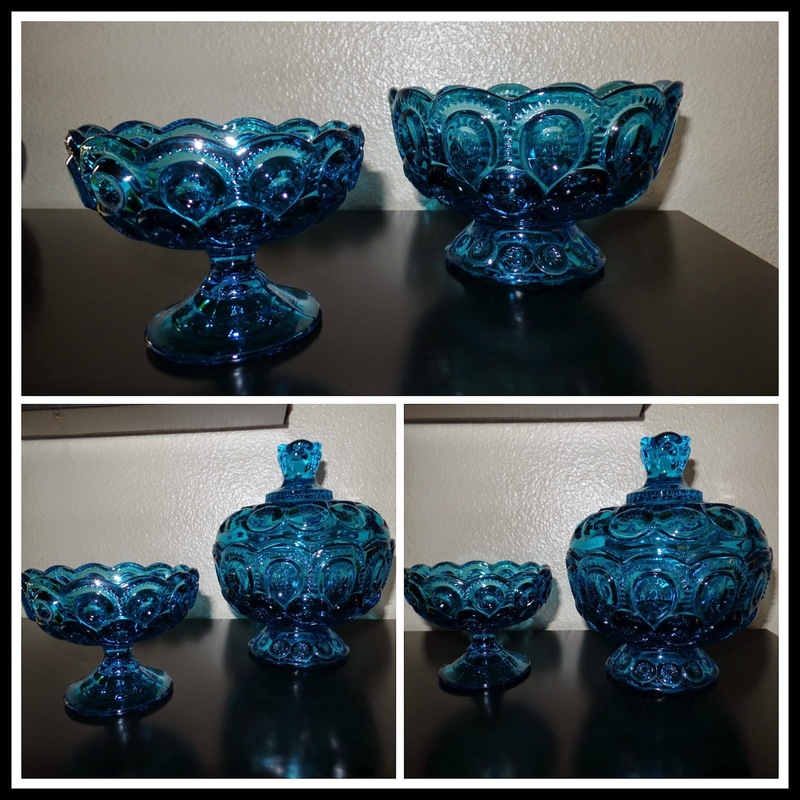 I was excited to find a matching set of vintage turquoise candy dishes, I purchased one exactly the same as the large dish a few years back at an antique store in a small town twenty minutes from here on a Mother's day outing. I love the color, I had no idea it had a lid, so when I found one with a lid I knew I had to have it, then I also found a tiny matching one, turquoise is one of my favorite colors so these candy dishes were a real treat to find! 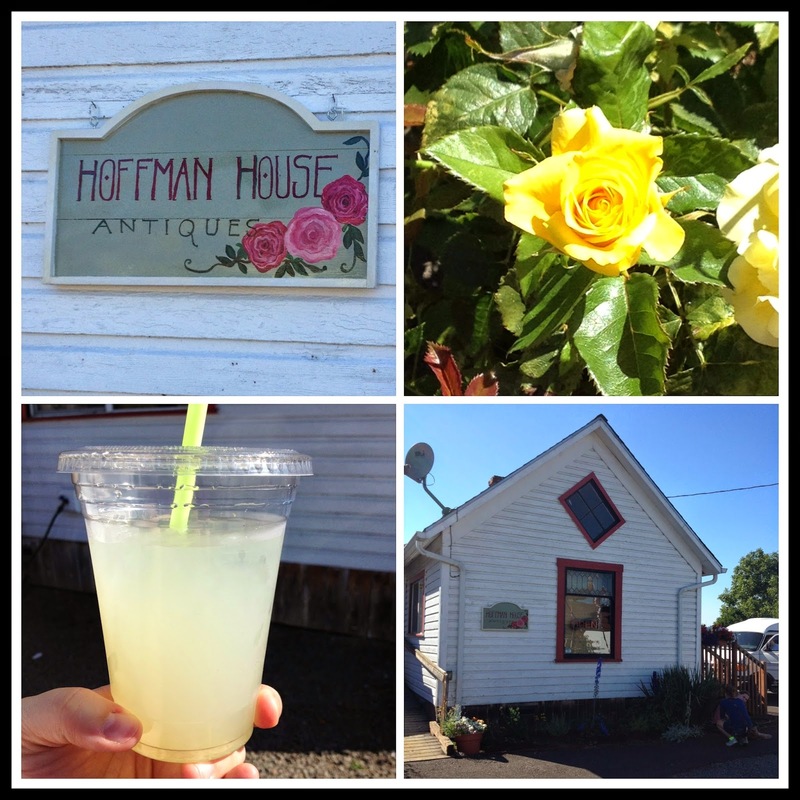 It was a very hot day, and by the time we were done treasure hunting we were all ready for a cold drink, luckily they have a coffee drive through right on the property so we all got sparkling limeade, and it was the perfect ending to our Antique shop outing! Last Sunday the kids wanted to hang out with some of the kids from their youth group at a comic book shop in Milwaukie, Oregon, lucky for Gary and I there was a perfect place in walking distance to hang out while the kids had their fun. 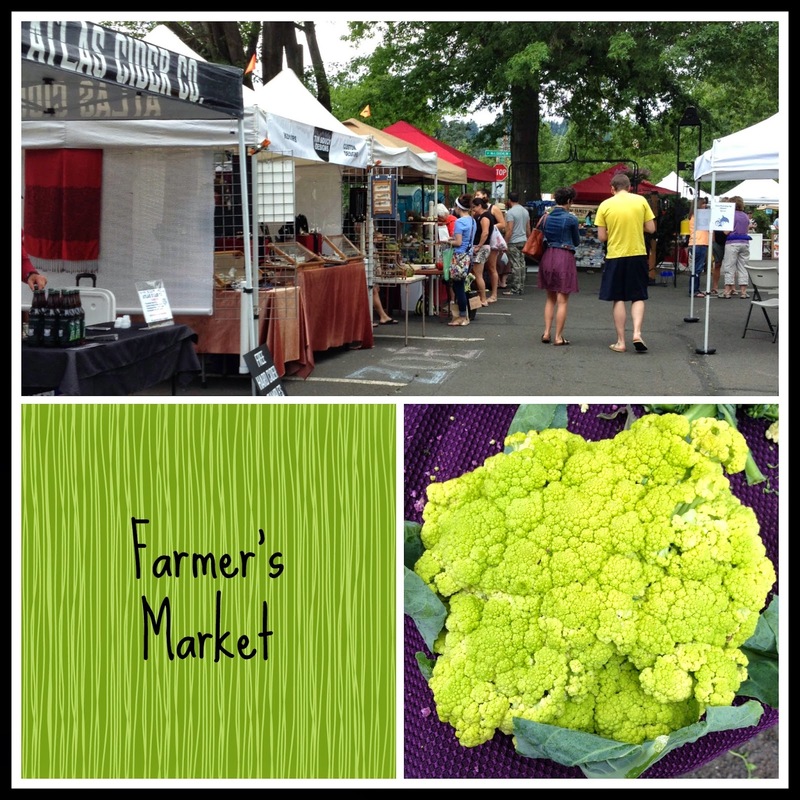 The Milwaukie Farmer's Market, I have been wanting to get there for some time now, but it runs on Sunday so we are usually at church, we got there just in time to catch the end of it. I really enjoyed walking through and seeing all the produce, and artisan foods and crafts, it smelled delicious! We brought home some local hamburger (which was delicious) and some colorful, bright green cauliflower and purple potatoes, and a nice big fresh bag of kettle corn, Gary's favorite! Downtown Milwaukie is such a nice place to walk around, I saw quite a few shops that I would love to go back and explore! Long time reader's of my blog may remember last summer and the very horrible car accident my daughter Sarah was in, you can read about it in Sarah's Accident post. It was the scariest day of my life without a doubt, fortunately Sarah is healing wonderfully. She did sustain a serious head injury which requires trips into the city to visit her various health care providers who are making sure she is healing up well. We have been getting to know the area pretty well. 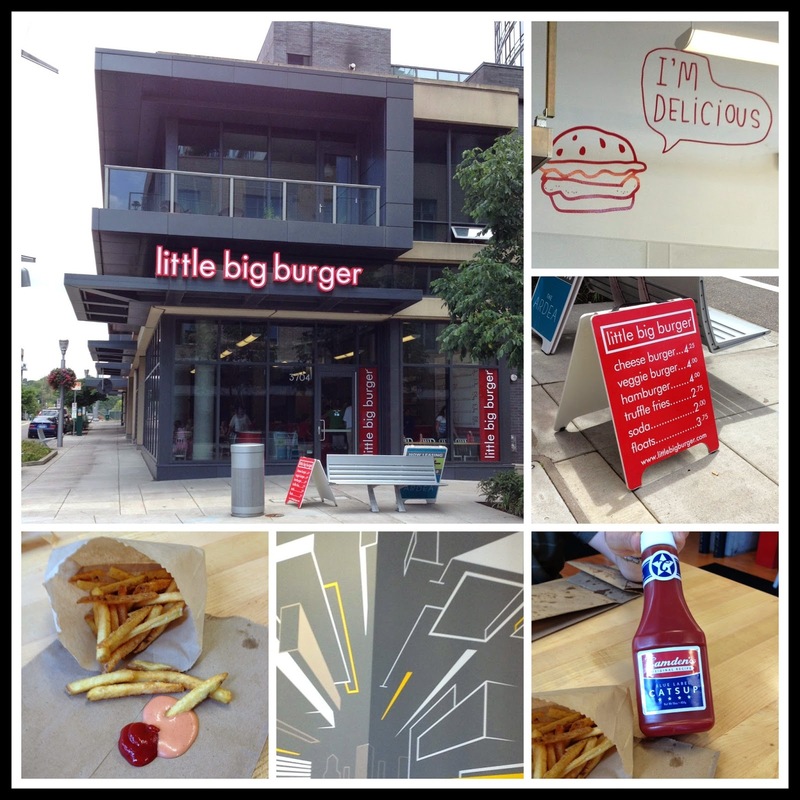 Last week we were up for a couple of appointments and had some time in between, we decided to walk around and find somewhere fun for lunch and came across a wonderful burger joint, called Little Big Burger. The menu is simple, burgers with a few choices of gourmet cheeses, fries, and truffle oil fries, and drinks. The burger was amazing and on a delicious bun, and the fries were wonderful. I got regular fries but tried Gary's truffle fries also -yum! But my favorite thing was the locally made Camden's Ketchup, delicious with the fries and has a little kick. I was so happy to see that they sold it, and brought a bottle of ketchup home, definitely my new favorite, I may have to stock up! Little Big Burger is fun and edgy, the staff is friendly, the restaurant was designed with an industrial look with funky art. There was very loud rock music playing, which would be annoying for sound sensitive individuals, but we enjoyed it, it definitely created a fun and funky environment to enjoy some awesome burgers and fries, we will definitely be back! There are locations all through Portland, I would highly recommend it! 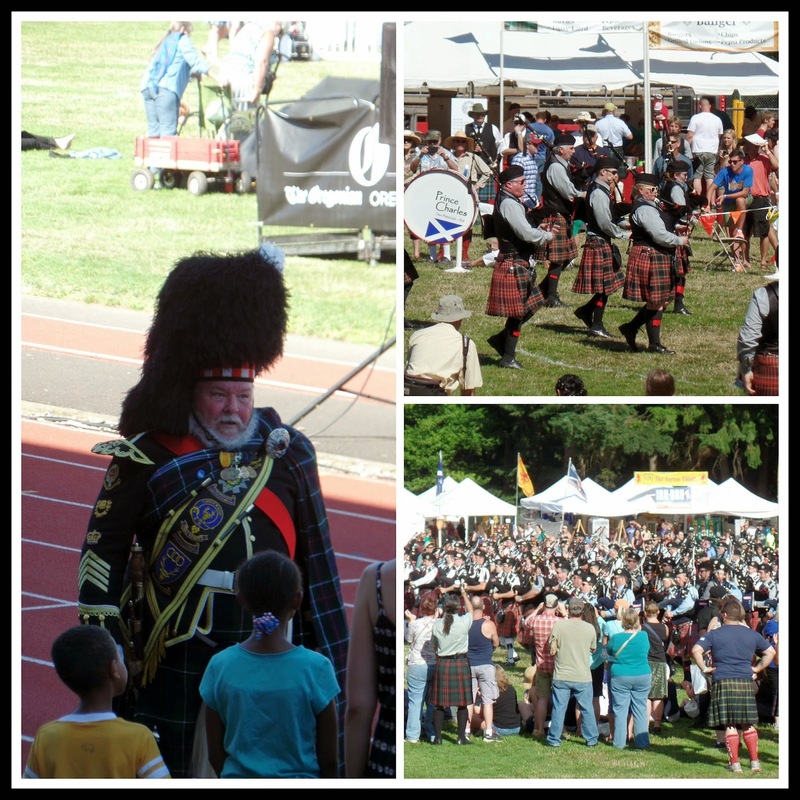 The highlight of our week was the Portland Scottish Highland Games, this has been a yearly tradition for our family to attend for more than two decades now, and we really love it and look forward to it every year. 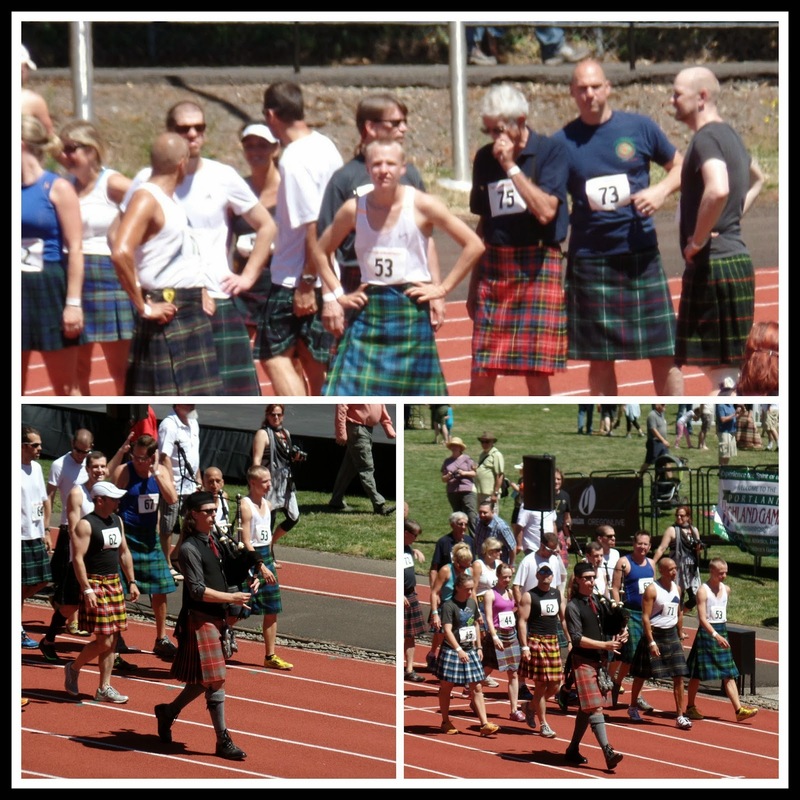 The games always begin with an opening ceremony and the Kilted Mile Run, which is always fun to watch. 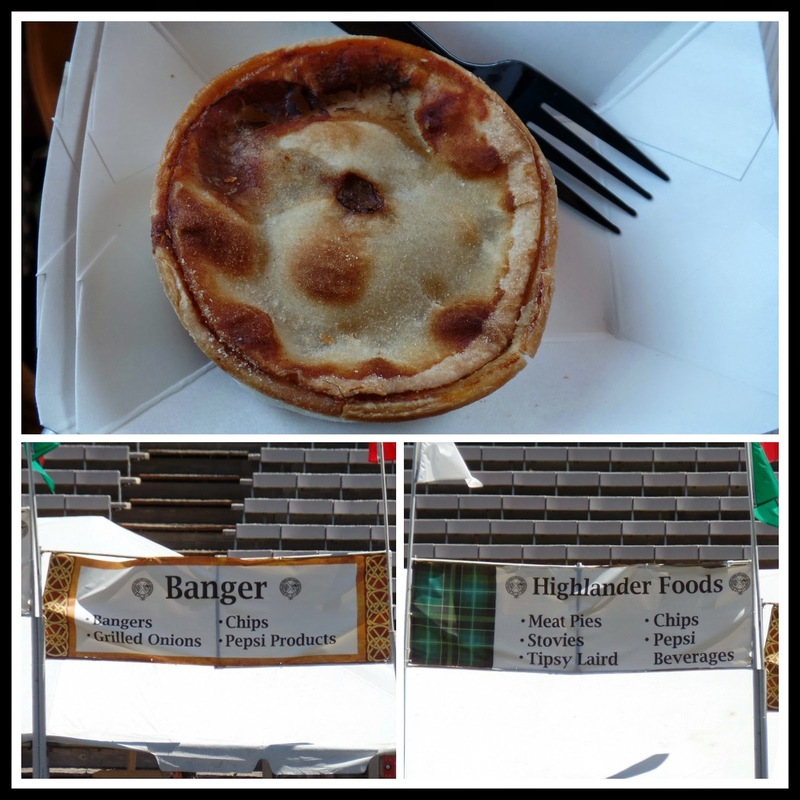 Of course we have to get our yearly Scottish Meat Pies and Bangers, they are so delicious! 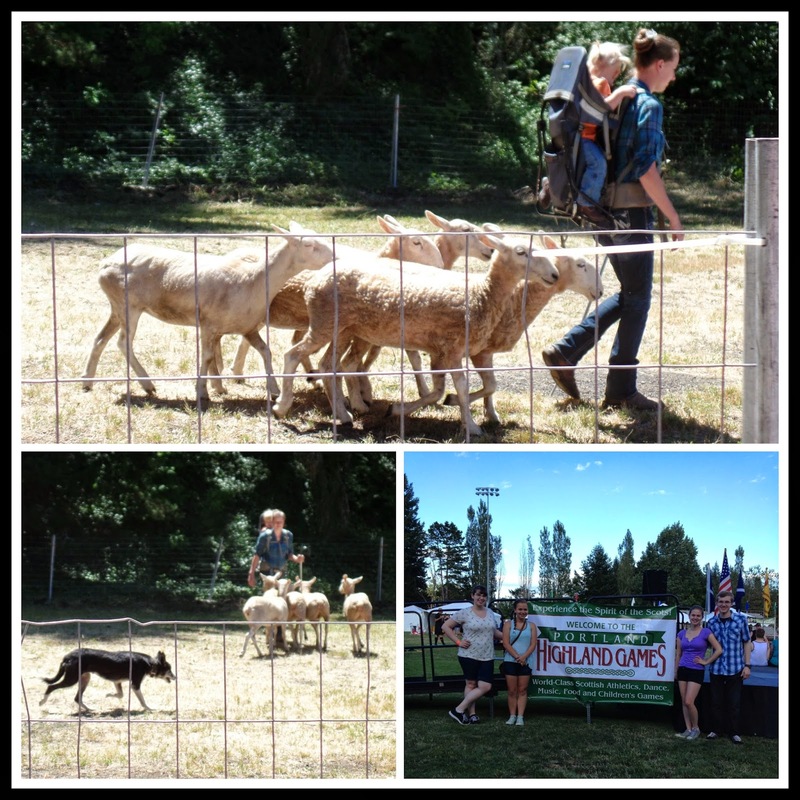 There is highland dancing to watch, this year we brought my son's girlfriend and her little sister along, and it was really fun to introduce them to all of our favorite events. The girls stopped by a hair braiding booth and got their hair done up, they all found hair cords that matched their outfits, their hair turned out really neat looking! 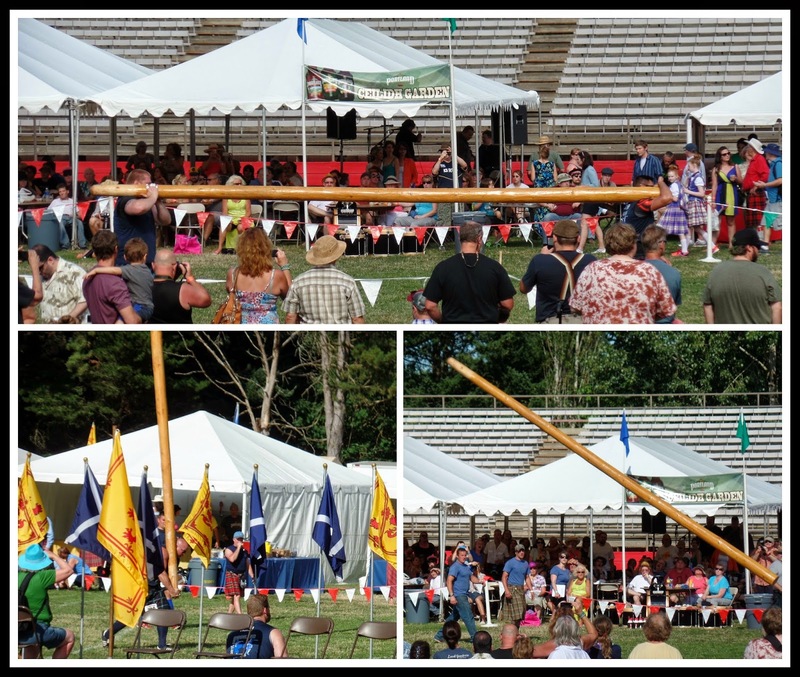 The day finished up with a very exciting caber toss, last year the caber was not turned, this year it was turned twice and everyone cheered, it is amazing the strength of the athletes that can lift that much weight! Then it was time for the mass bands, where all of the different bagpipe groups get together for one huge group in the center of the field, they played Amazing Grace and Scotland the Brave, it is always very moving. So those were some of our July Wanderings, and we have a lot more outings planned that I am really looking forward to! I hope everyone is enjoying their summer! 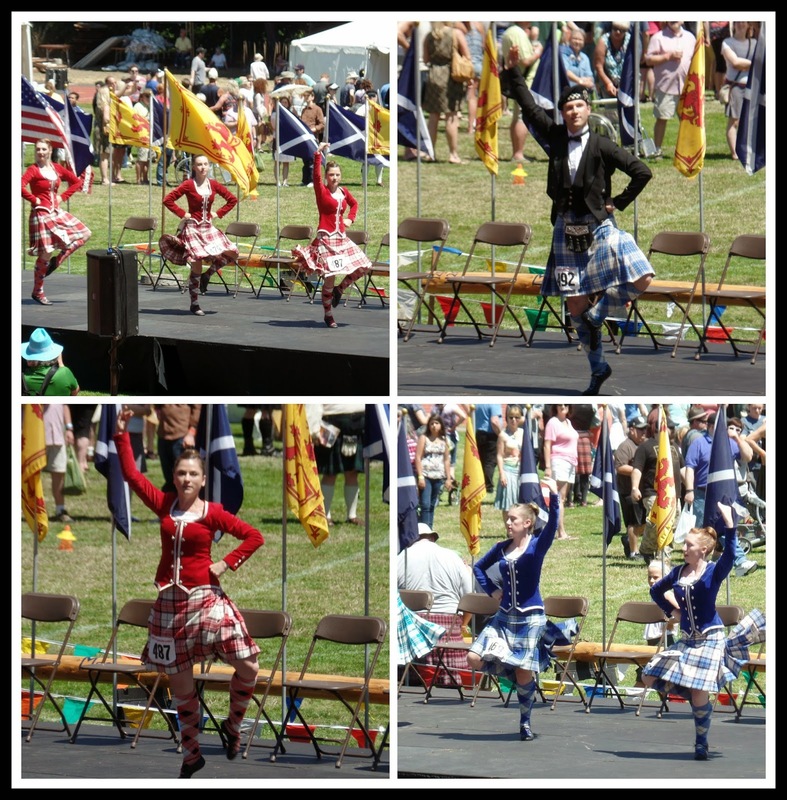 You might also like to read about our previous year's Highland Games - in 2011, and 2012. I bet the kilt run is hilarious to watch. and I bet those guys are each dead set on winning, too! Not sure what a Banger is...going to read up on it again.